Voted 2018 Fitness Tracker of the Year by Wareable, the Charge 3 is Fitbit’s most advanced tracker, ever. My largest contribution to the product was the design of the device Exercise app. This is the most used device application and where sensor data meets behavior change. The Exercise app offers a unique view into your body’s response to physical activity, while motivating you along the way. Building on the legacy of the Charge 2, I completely rethought how Exercise should work. The mode of input completely changed from Charge 2’s tap-through navigation to Charge 3’s touch screen. I wanted the new device to feel related, but from the future. In addition to new hardware sensors and inputs, I added many new features and functionality. 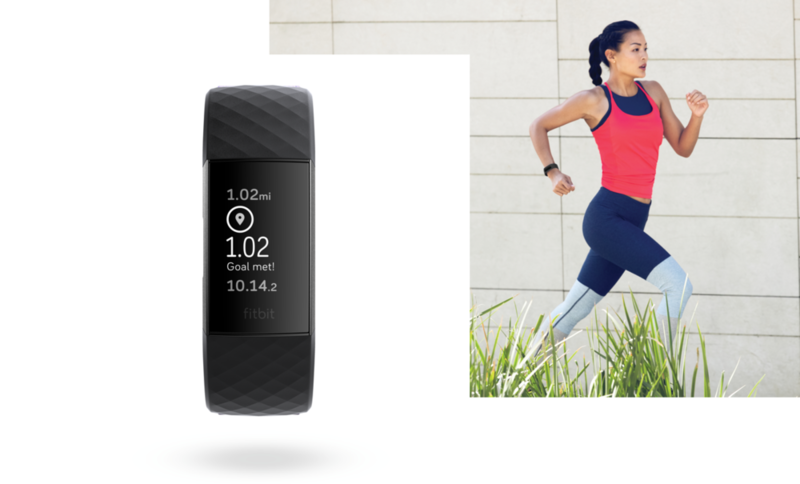 The Charge 3 introduced Fitbit’s Exercise Goals feature and is the first Fitbit Tracker to track swim on-device. Exercise Goals is a new feature that enables users to set calorie, time, and distance goals. I worked with fitness experts to give the right amount challenge for all of our 19 exercise types. Once a goal is set, a stat keeps track of your progress, then celebrates your accomplished goal. A small interaction triumph was innovating on how our tumbler works for setting exercise goals. In a small interface, a tumbler with 2 inputs would not fit. The “transition tumbler” allows a single list to flow from minutes to hours seamlessly in one screen. An early Transition Tumbler Flinto prototype (without inertial scrolling). While exercising, users can cycle through legible, accurate live stats to see their progress. The Exercise app is unique because it is designed for a user in motion, so legibility and simple controls were the details I sweat most. Working with a visual designer, we created icons that added a bit of fun and a lot of meaning to the data being tracked. Just like any other product design challenge - based on user insights, I sketched, prototyped, usability tested, and iterated to create the final UI. This was an incredible challenge and I’m so proud of the end result that helps real people live healthier lives. As part of a small design team, I primarily owned the design of the Exercise App experience.